Legendary pacer - McGrath said he was not surprised with the "exceptional" show of Indian pacers during their Australian tour earlier this year. 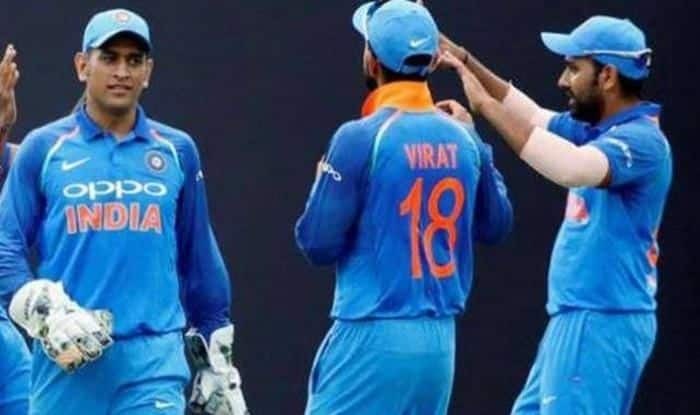 Australian fast bowling great Glenn McGrath picked India and England as the favourites to win the upcoming World Cup and said that the bowling unit will hold key to the fortunes of Virat Kohli’s men in the 50-over showpiece. McGrath also said Australia’s recent limited-overs series win over India have improved their chances of winning the World Cup which begins on May 30 in the United Kingdom. “The top two teams are going to be England and India. England had a tough time in the West Indies and India lost to Australia. So, the competition will be tighter. Australia’s chances have improved after their ODI and T20 win over India,” McGrath, who is director of coaching at the MRF Pace Foundation here, told reporters. “The fact that Australia won the T20 series and the ODIs against India in India will boost their confidence. With those two (Steve Smith and David Warner) coming back, the team will be strengthened and those players were missed during the Australian summer,” he added. McGrath said he was not surprised with the “exceptional” show of Indian pacers during their Australian tour earlier this year. “I was not surprised … they did exceptionally well. They bowled well as a unit and there was no weak link there. I think the pace they bowled at, the consistency and control, they really impressed me,” said the 49-year-old who took 563 Test wickets in 124 matches between 1993 and 2007. “Ishant (Sharma) is very experienced, Bhuvneshwar is your senior bowler and he needs to be bowling well. He is an intelligent cricketer and the (Mohammed) Shami is doing well. “I was particularly impressed with Bumrah, he was exceptional. The way he bowls his yorkers and if there is some reverse swing, he is going to be dangerous. And the pace he bowls the yorkers makes him really unique. So, the bowlers have to perform if India is to win (the World Cup),” McGrath added. “Kohli is a class player. He is easily one of the best going around now. By the end of his career he will be held up there alongside the likes of Lara and Tendulkar. As a captain and player he is quite aggressive. He likes getting involved in the game. As long as the emotions do not run too much and if he is playing well, it is fine. He has matured a lot and he knows his game. “He has got the respect of his players. Watching the way he batted in Australia, the only thing I would have said to the home bowlers is I would have preferred them to bowl a little bit short and be more aggressive when he first came out to bat. A lot of times they tried to swing the ball and if it is full, he is in complete control. There is no obvious weakness in his game. To get him out early is a massive bonus,” McGrath said. He also felt that compatriots Steve Smith and David Warner, who were banned for a year in the wake of the ball-tampering scandal in South Africa, would do well on their return in the IPL for their respective franchises — Rajasthan Royals and Sunrisers Hyderabad. “I think Smith and Warner will do well in the IPL after being out of the game for 12 months. They played a few T20 competitions around the world but they are keen and hungry. They are ready to prove they are good enough to continue playing international cricket,” he said. McGrath said the IPL would be good preparation for the players ahead of the World Cup as it will help players get the mindset on the shorter version of the game. On the issue of managing the players’ workload with the World Cup approaching, he said it should not be much of a problem and depends a lot of the players themselves. “I really enjoyed my two years in the IPL. Managing the workload should not be too much of a problem as it is not huge. It is a different intensity, obviously, there is only four overs and it is up to the individual to recover. If they can recover well, they will be fine,” he said.